I’m a big fan of an early bedtime. Me, and the girls if I’m honest. Since they don’t nap and don’t sleep later than 6:30-7:00am they need to go to bed early to get their 12 hours. Over the winter they were asleep by 6:30pm. It was dark before 5pm and they were begging to go to bed. Barely keeping their eyes open over dinner. This was fantastic as I got an hour plus to myself before Alex got home. You know an hour to myself to tidy the kitchen and pick up toys. Now that we are transitioning into spring (ha!) and day light savings has kicked in they want to stay up later. But I really need them asleep by 7:00/7:15pm. They take a while to unwind but not before they’ve bounced in and out of bed. You know the drill. 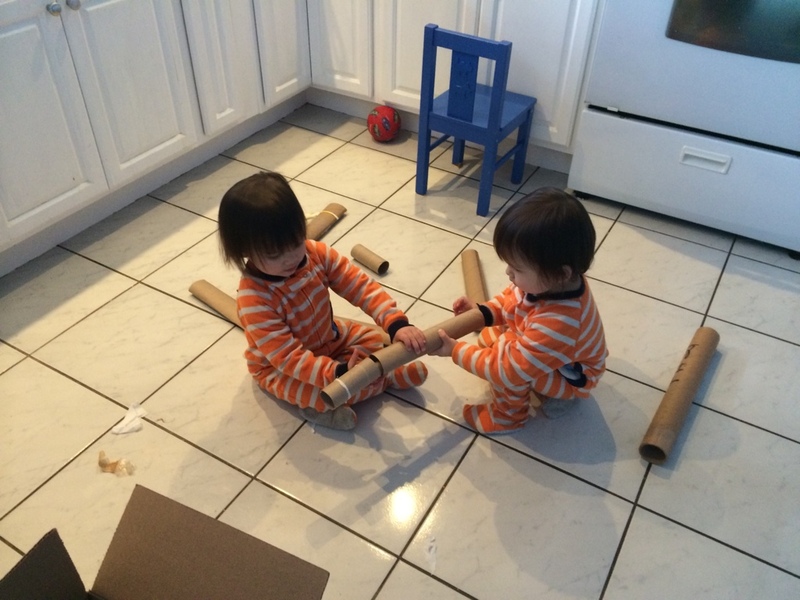 As I got on with cleaning up after dinner and then straightening up the living room they quietened down to playing with cardboard tubes which switched from being rockets to trains to rolling pins to goggles. 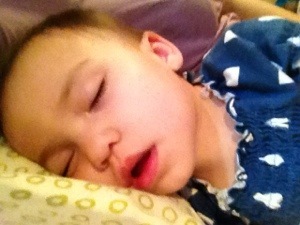 By 6:30pm all my chores were done, and we could start actual bedtime (teeth, potty (optional), story & “lights” out). They were asleep by 7:15pm and whilst they took time to unwind there was no joking out of bed, and I dozed. This felt more relaxing or as relaxing small children get. Hoping that once we can spend more time outside they’ll be quicker to unwind. Tomorrow the good folks from IKEA will deliver two toddler beds, and the transition from the family bed to their own bed will begin. We are going to set them up in our room and eventually transition them into their own room with a trail of fairy lights. So today I shall enjoy the last day of a spacious bedroom before it takes on the look of an IKEA showroom. At 19 months I think (and hope) that the girls are ready for their own sleeping space. Zoey has been pushing me away at bedtime and during the night. She wants to know that we are there but is carving her own space and she sleeps like a whirling dervish. Naomi is still a big snuggler but is also a kicker so she is not the easy bed mate that she once was. So it is time. 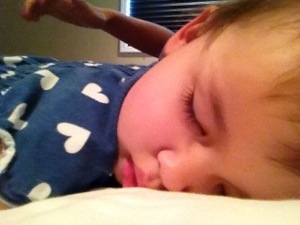 I’m also working on getting the girls to nap in bed in the afternoon than in the stroller. It’s getting hot and I think we all need a siesta rather than sweating our arses off outside.